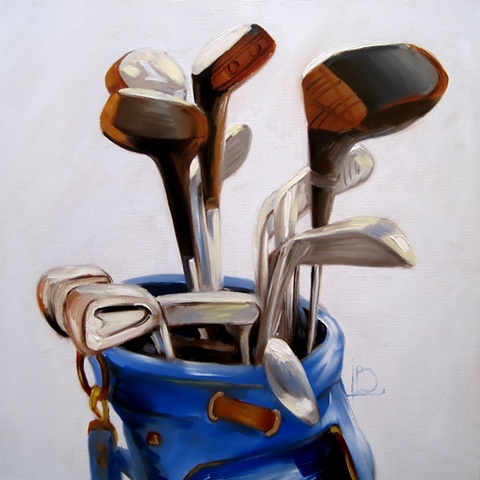 An unusual painting for me... it's golf clubs! With not a drop of pink in sight. This painting was commissioned by Paperlink for use on one of their greetings cards, but, despite only ever playing crazy golf, I really like the result.